Since being elected in 1997, David has been the Member of Parliament for Haltemprice and Howden. David was MP for the Boothferry constituency from 1987. David is known for defending his constituents’ interests, most recently by campaigning against proposed redundancies at Brough and persuading the Treasury to scrap a planned VAT rise on static caravans which threatened thousands of jobs in East Yorkshire. In 2010 David chaired The Future of Banking Commission which investigated the causes of the recent banking crisis. Funded by the consumer organisation Which?, many of the Commission’s recommendations were subsequently adopted by the Government’s Independent Commission on Banking. 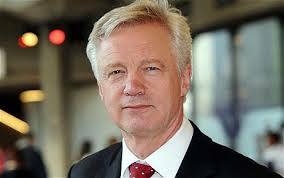 In 2011 David was lead author and editor of a book of essays written by MPs and leading political thinkers. Entitled The Future of Conservatism: Values Revisited, the book provided a blueprint for the future direction of Conservative Party policy.